CHECK OUT OUR 2018-2019 SEASON!!! This comedic play shows us the friendship between an assisted-living facility's oldest resident, Wizzer, and a newcomer, Al, as he adjusts to life at what may be his last address. As friends who meet to chew over the obits like the senior center sports pages, their lives are challenged by the arrival of Shirley and Minnie who send Al and Wizzer on life-changing paths. On Christmas Eve, 1822, Clement Clark Moore's house is not as quiet as a mouse—in fact, everyone is stirring. The three children await the arrival of St.
poem so it can never leave the house. The children unite to save the poem for posterity and by attempting to convince their father that his verses should be shared with children everywhere. Set in the Appalachians of northern Georgia, “Foxfire” is a funny, charming, and heartbreaking story of an elderly widow who comes face-to-face with the gravitational pull of the changing world around her and the deep roots of her past. “Foxfire” is the FungusAmongus Players’ entry to the 2019 MACTFest (Minnesota Association of Community Theatre). Performed alongside our MACTFest production will be a one man show featuring Kurt Schulz who brings us Herbert Pinnegar. Pottering amongst the seeds and cuttings at the back of his ramshackle greenhouse in the garden of a Gloucstershire manor house, Now in his twilight years, he’s full of memories and tales of a bygone era. In between potting up and potting on, he recounts his journey from orphan boy to legendary head gardener ‘Old Herbaceous’ and tells of his friendship with the lady of the house, Mrs Charteris. 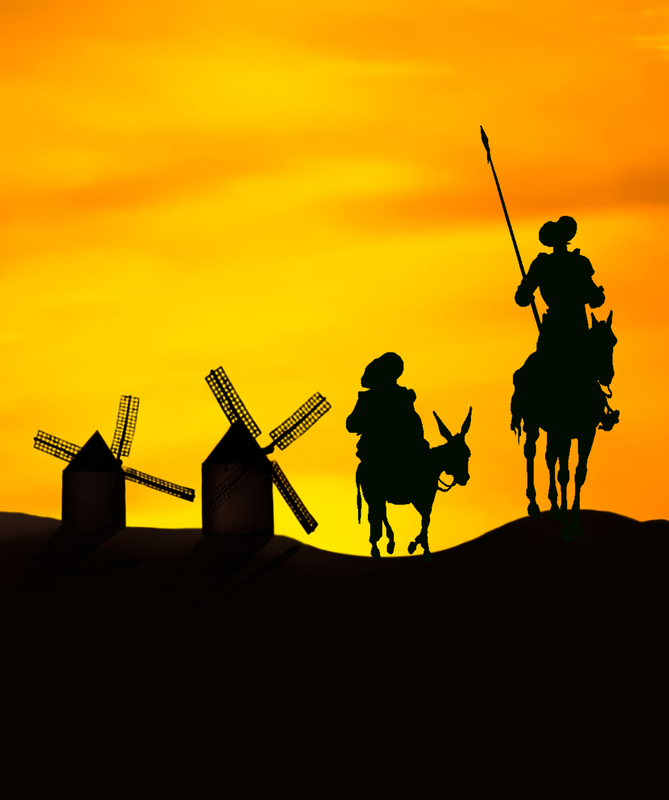 To wrap up our Season, we will be presenting a classic story of the "mad" knight Don Quixote as a play within a play, performed by Cervantes and his fellow prisoners as he awaits a hearing with the Spanish Inquisition. This musical features popular songs such as “The Impossible Dream".